Life Care's main objective is to provide effective, safe and pleasurable products. We do that by using organic main ingredients that are naturally recognized and accepted by our body (organic DNA recognition in every level of our body: organs, blood, and cellule). This is the ‘big secret’ behind our products for being efficient and safe. There is no need to add additional chemical, "efficiency enhancers" in this process. Any chemical or GMO (Genetically modified organism) "add-on" will become a toxic waste that our body will try hard to eliminate. That is why we avoid any chemical or GMO (Genetically modified organism) in our ingredient list. We are constantly developing our recipes in order to upgrade to new ingredients approved by the organic certification bodies worldwide. The products from Life Care portfolio are premium products developed by the leading manufacturers of BIO cosmetics, nutritional supplements and detergents in the world. 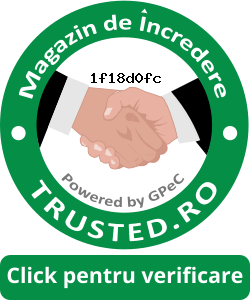 Their quality is certified by independent internationally recognized certifying bodies, such as ECOCERT or BDIH and by the Ministry of Health in Romania. BDIH standard specifies the ingredients in the products composition, what preservation systems are admitted and ensures the fact that products are not tested on animals. The principles that define the BDIH concept regarding "the controlled natural cosmetics" are: protection of nature – during extraction of used raw materials, it is wanted that the nature to be disturbed as little as possible, taking into account the protection of animals. It is ruled out the interference or genetic manipulation of the hereditary legacy of the plants or animals; careful transformation of raw materials into finished products, without chemical reactions. Packages must be economic and observe the environment; the controlled natural cosmetics must give up synthetic dyes and preservatives and contain substances with low allergic potential. ECOCERT is an international inspection and certification body of organic products that verifies the compliance of organic products with the European and national legislation and with the international standards in force. ECOCERT certified products do not have in their composition: mineral oils, silicone, and emulsifiers such as PEG, parabens, synthetic perfumes, synthetic dies or solvents such as Propylene Glycol. Each ingredient in the Life Care products composition is carefully selected and processed so that its value for the body to be complete. Life Care products, either natural or having in their content organic ingredients or are 100% BIO represent a healthy alternative for the support and protection of the body, being recommended even to sensitive or allergic persons.